Regular reader of the blog will know I am rather partial to a glass of vino and my first love (wine wise – think otherwise it was a blonde when I was 9, gosh that takes me back a fair few years) was Rioja. This love has endured and indeed grown over the years into a bit of an obsession (for Rioja and Spanish wine in general that is – I am not stalking the blonde 😀). A good 40% of my wine collection (up to 400 odd bottles at the last count) is made up of wines from Rioja and trips to the wineries in the region has allowed me to continue to bolster my collection. When an email for the Jeroboam Club (a wine tasting club in Bristol that I am a member) popped into my inbox with details of the tastings for 2018, I quickly clocked that the first one in January was red Rioja 2001 reserva (at least one year in oak barrels and 2 years in the bottle) and gran reserva (at least 2 years in oak barrels and 3 years in the bottle) wines. This I was not going to miss. with what was a stellar selection of wines from across La Rioja. So to the wines. On a visit to Lopez de Heredia a few years back, I asked how long they keep their barrels, which was met with a shrug of the shoulders and a “until they can no longer be repaired”. That is, by their account, a very long time. All Lopez de Heredia wines are built to last and many regard the 2001 vintage of any of their wines as mere babies, with plenty of ageing potential left in them. Whilst they are perhaps more famed for their rather individualistic white wines (very marmite, in that you either love them or hate them – I am firming in the love camp), which have huge ageing potential, their reds are also highly regarded. 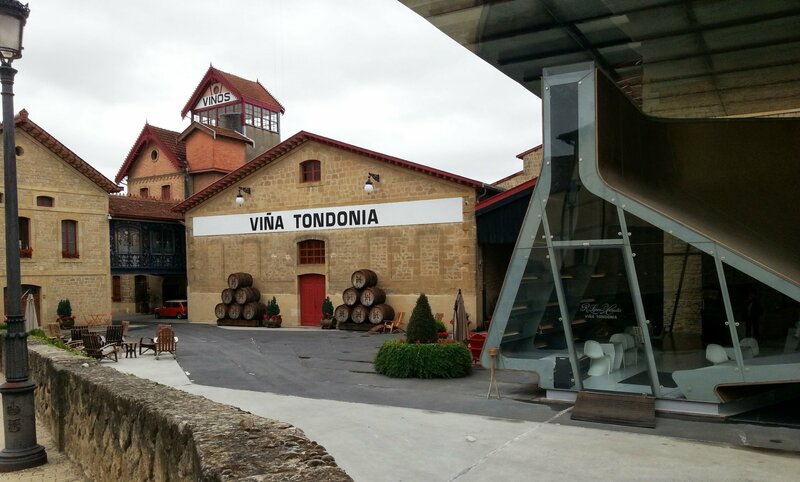 Vina Tondonia (reserva – a blend of Tempranillo, Garnacha, Graciano and Mazuelo). 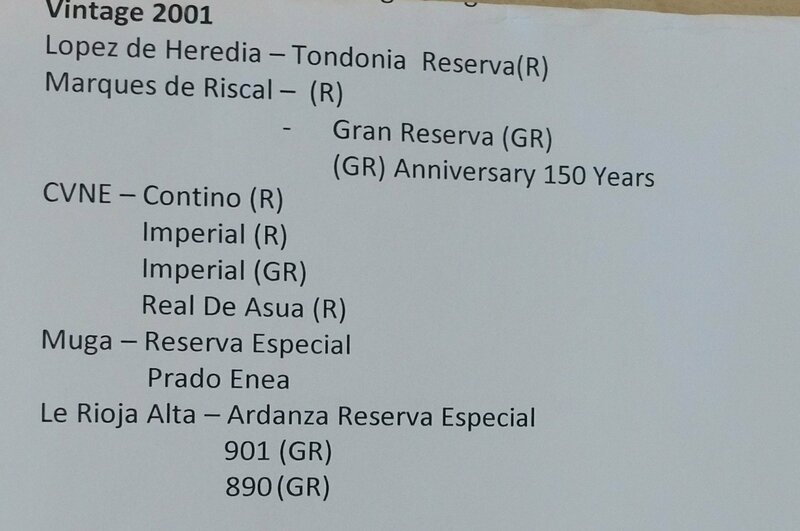 It says much about the nature of Lopez de Heredia that only the reserva wine was available to taste on the basis that they have not as yet released the gran reserva of the 2001 vintage (don’t expect it before 2021!). This wine (perhaps reflective of all Tondonia wines, which are slow to open up) felt a bit closed and wrapped up in itself. Oddly, for a wine nigh on 17 years old, it seemed very young. On the nose there was a hint of something off. Not unpleasant to me (others disagreed), but just not quite right – a hint of decay perhaps. Consensus in the room was a touch of TCA (cork taint), although I was one of the doubters on that front (I am the thickie in the corner, wine wise, at these events if I am honest – so I dare say I was wrong). On the palate the fruit was there, but as with the nose it was muted with a hint of decay in the background. A high level of acidity suggests this vintage will have loads left to give, but I was disappointed with this bottle. I have had this wine before and it is usually better than this with crisp red fruits to the fore. Price: Around the £35 mark. Anyone who has visited or thought about visiting Rioja is likely to be familiar with the iconic (some would say insane) hotel building created by Frank Gehry (he of the Guggenheim fame) at the heart of the Marques de Riscal winery in the village of Elcigo in the Rioja Alavesa. Whilst the hotel building is uber modern, the Marques de Riscal winery is the oldest in Rioja having been founded in 1858. Wines from this winery are generally viewed as being quite traditional (although their Baron de Chirel wine is more modern in style). Reserva – (blend of Tempranillo, Graciano and Mazuelo). Out of all of the wines at the tasting this is the closest to what I would describe as a supermarket wine and you can pick up the current release (2013) in Majestics for under £14. This 2001 was pleasant enough with a (slightly muted) nose of black fruits and a touch of herbiness and the same black fruits and a touch of vanilla on the palate. I described it as a glugger on the night, which in hindsight was perhaps a bit unfair. Decent wine that is good value for its price tag. One to drink up if you have any. Price : Around the £25 mark. Much the same on the nose and the palate as the reserva, but with a little more intensity on the blackcurrant and vanilla front. Not the step up in class from the reserva I was expecting though (I scored them the same). Price : Around the £35 mark. A definately step up in class from the reserva and gran reserva, this had a good hit of black cherry and a touch of balsamic on the nose. On the palate there was a pleasing bit of spice (touch of cinnamon and pepper) and blackcurrant. Price: Around the £50 mark. CVNE ( pronounced Coo – nee) has its main base of operations in the Barrio de la Estación in Haro in the Rioja Alta, but also has outposts in the Rioja Alavesa in the form of Vina Real and Contino. Wines tend towards the more traditional style. Classed as Rioja’ s first Château, this 63 hectare estate is in the Rioja Alavesa, between Laguardia and Logrono, and has been a firm favour of mine for many a year. The recent departure of Jesus Madrazo (allegedly due to differences of opinion with the wider CVNE board as to Contino’s future direction) has cast a bit of a cloud over the winery going forward, but Jesus (who I had the pleasure of meeting at a tasting last year in Bristol) was firmly at the helm back in 2001. This wine really stood head and shoulders above the wines that had come before it. Lovely toasty notes on the nose, with mocha and coffee coming though. On the palate there were vibrant cherry fruit flavours, with back notes of raspberry and a touch of chocolate and herb. Lovely wine drinking perfectly now, but with plenty of years left in it. Very good value for money in my opinion. 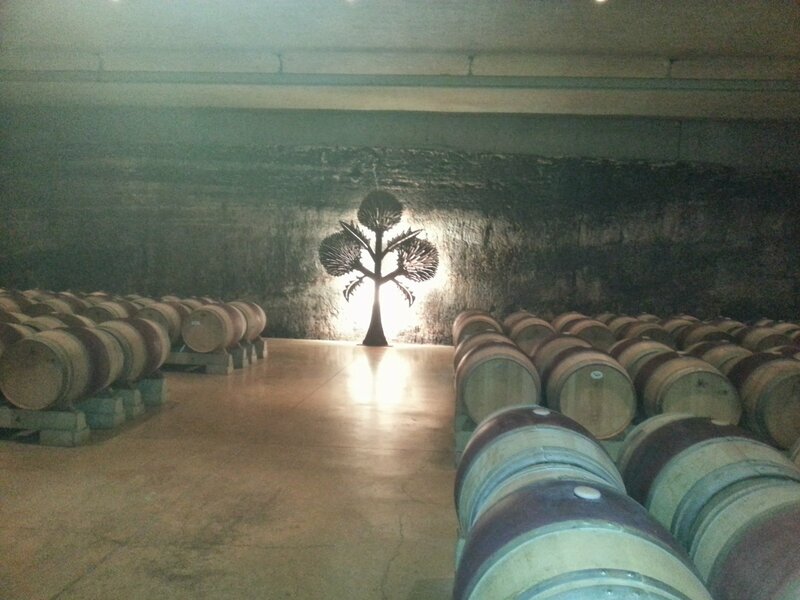 Will the new wine maker at Contino be able to reproduce the Madrazo magic? I hope so, but have my doubts. Price: Around the £40 mark. This had a very old world nose of oak and cigar box. On the palate, there was a nice hit of spice (touch of clove) and oak (lots of vanilla) to the fore. Also dark fruits, such as cherry, were in the mix. Nice wine, but not as good as the Contino. As with the reserva this had a fair amount of, vanilla heavy, oakiness on both the nose and the palate. It also had the same dark fruits and touch of spice on the palate. Noticeably sweeter than the reserva, but I did not think it appreciably better than it bearing in mind it’s much higher price tag. Price: Around the £60 mark. Produced from grapes from vineyards in Haro and Villalba this (unlike most Rioja wines ) is not a blend, but made up of 100% tempranillo. Ripe and sweet, this had bags of fruit on the nose, which followed through on the palate. I described this wine on the night as a bit of a hooligan. By this I meant it was a bit in your face and lacking subtlety. This wine is highly rated by the critics (it being number 6 in James Suckling’s Top 100 Spanish wine of 2017), but I thought it a bit one dimensional and not worth the rather hefty price tag. It didn’t wow the audience that night that is for sure, with (if I recall correctly) it not garnering a single top 3 vote. Price : Around the £60 mark. 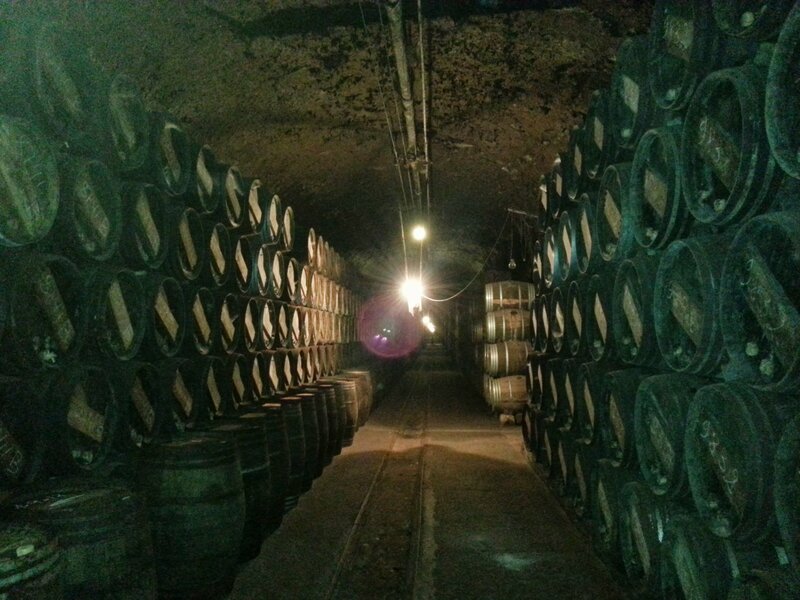 Wines from Bodegas Muga are highly prized in Spain. They produce to my mind uber reliable wine, with quality from top to bottom. One of my favourite Rioja producers and one you can rarely go wrong with. They do tend to attract a bit of a premium price wise though. Very nice wine this, with bags of berries on the nose and a touch of herbiness as well as leather. On the palate, I got violets and red fruits (cherries predominately). Pleasing, but still not a match for the Contino (with both having a similar price tag). This was a stunningly good and truly elegant wine, with alluring aromas of cigar box, Asian spices (think star anise) and black cherries. On the palate, it had a rich velvety texture, with oodles of succulent fruit and spice. Fantastic now, but with years and years of life left in it if you can resist drinking it (very hard to resist this wine). May seem expensive, but this is a lot of wine for the price. Price: Around the £55 mark. This bodegas is an old favourite of mine, with their Vina Ardanza one of the wines that (back in the day, when it was a lot cheaper) really got me into wine appreciation. Their wines are always classy stuff, which (in theory) really move up the gears with their 904s and 890s wines. In reality this wine could be classified as a gran reserva (based on barrel and bottle time), but is not classified by the bodegas as such. This is presumably to differentiate it from their more expensive 904 and 890 wines. On the nose, this had nice leather and cigar box aromas. On the palate the robust leather and meatiness vied with the lighter notes of summer fruits (predominately strawberry). Good depth and, whilst drinking well now, it has plenty of years of drinking in it. Not quite up there with the Contino and a bit of a step down from the Prado Enea. Price : Around the £40 mark (I was buying it for £14 about 4 years ago in Costco!). Clear fault with this wine, which should have been lovely with delicate balsamic notes, spice, red fruits and mocha. Instead it was very flat, with nothing about it really. Shame, but you win some you lose some. Price : Around the £50 mark. 890 (Gran reserva – blend of tempranillo, Mazuela and graciano). Great wine to finish off an intriguing tasting. The nose was nice and gamey, with hints of sandalwood and spice (nutmeg, clove and cinnamon). On the palate it is all rich dark fruits which packed a real punch. Personally I think this is only just starting to open up and thus it was perhaps still a tad austure. Currently bested (in my view) by the Prado Enea, but give it a couple of years and the tables may be turned. Price: Around the £90 mark. Some truly stunning wines on offer with these 2001 more than living up to the year’s stellar reputation. In terms of votes garnered, these three wines were streets ahead of the others. Once prices were taken into account, based of value, my podium was the same bar from a thought of switching around the 890 and the Contino. These are definitely wines worth hunting down. Most are drinking beautifully now, but some have plenty of life in them (and some may well really blossom further down the line i.e. the 890). Curado Bar in Cardiff has the Muga Prado Enea (not the 2001) on their wine list and on sale retail in the deli. Not cheap, but worth a splash out if you are feeling minted or want something really classy to celebrate with. Thanks to the Jeroboam Club for the event and to John Chappell for supplying a fantastic selection of wine from his personal cellar. Finally – great venue in the form of the Lido in Bristol. Food as ever was fab. Neglected to take pics, but I choose the wood baked manchego for starter and the duck fatties for main. Both worked well with the left overs from the tasting and a couple of bottles of a more recent Rioja vintage bought by a club member. This entry was posted on Feb 4, 2018 by solicitingflavours in Alcoholic drink, Bodegas La Rioja Alta, Bodegas Lopez de Heredia, Bodegas Muga, Bristol, cheese, CUNE, CVNE, Drink, duck, Fine dining, Food, Food and wine products, Imperial, La Rioja Alavesa, La Rioja Alta, Lido, Bristol, Marques de Riscal, Outside Wales, Red Wine, retail, review, Rioja, Uncategorized, Vina Tondonia.